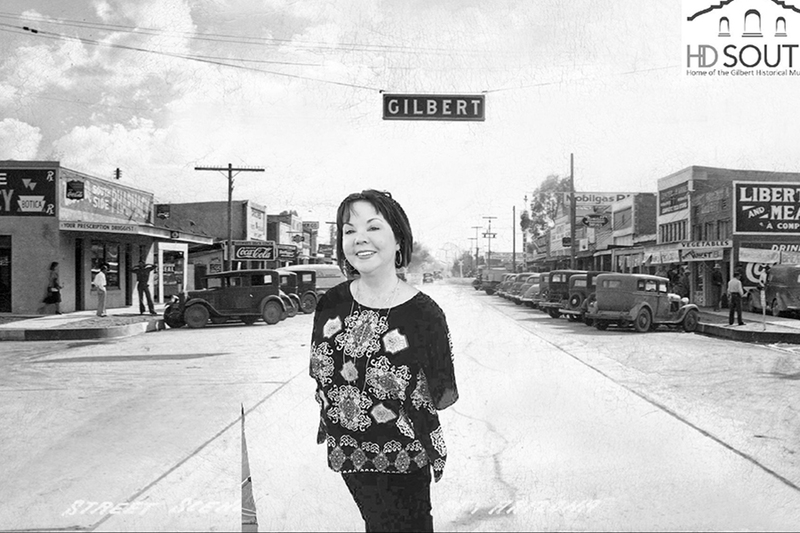 Originally opened as Gilbert Elementary School in 1913, The Gilbert Historical Museum, now rebranded to HD SOUTH, is the oldest building still standing in Gilbert. 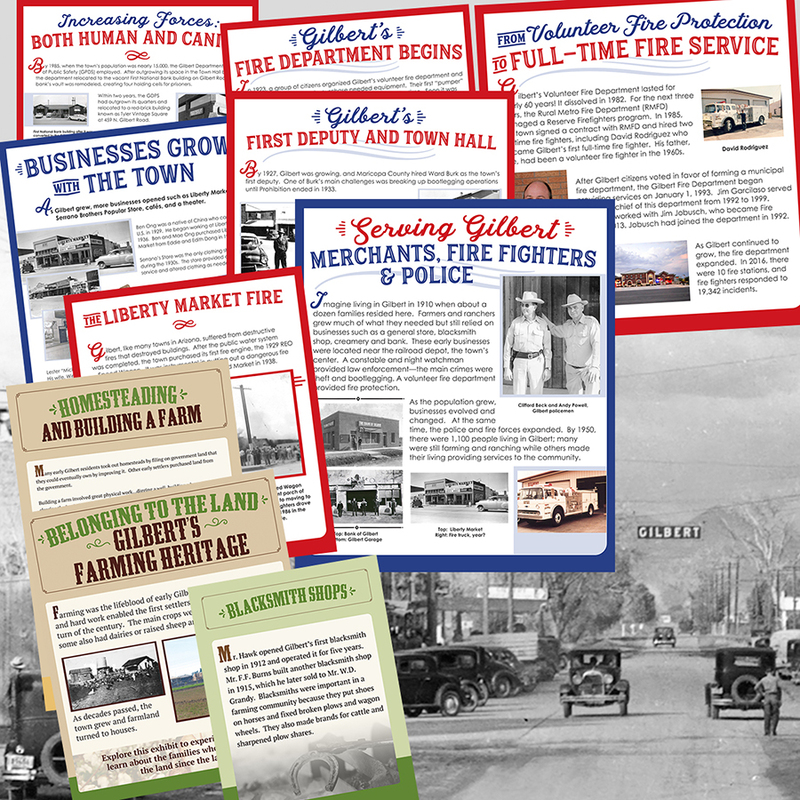 One such project which was completed for the rebranding of the Gilbert Historical Museum, was the design and production of over 70 interpretive signs that Rosepapa Creative worked on for several months. 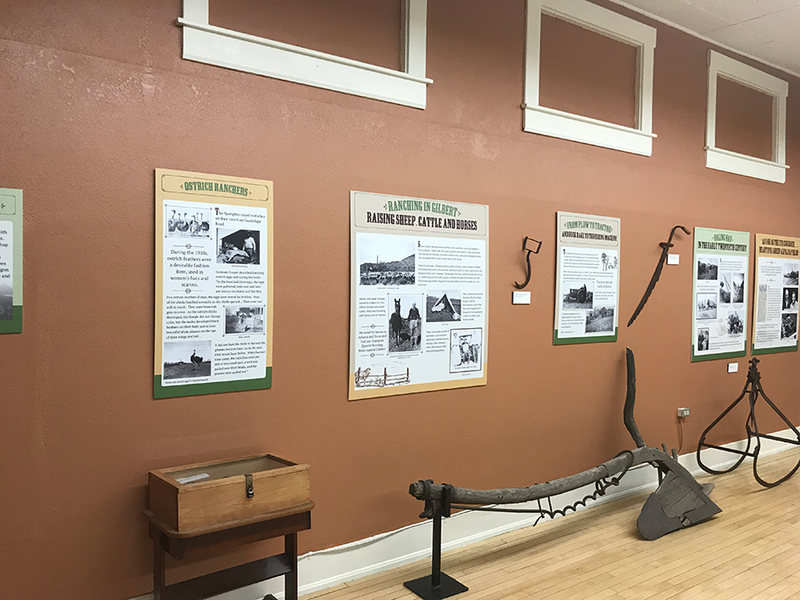 These signs replaced outdated displays in 3 large museum rooms. 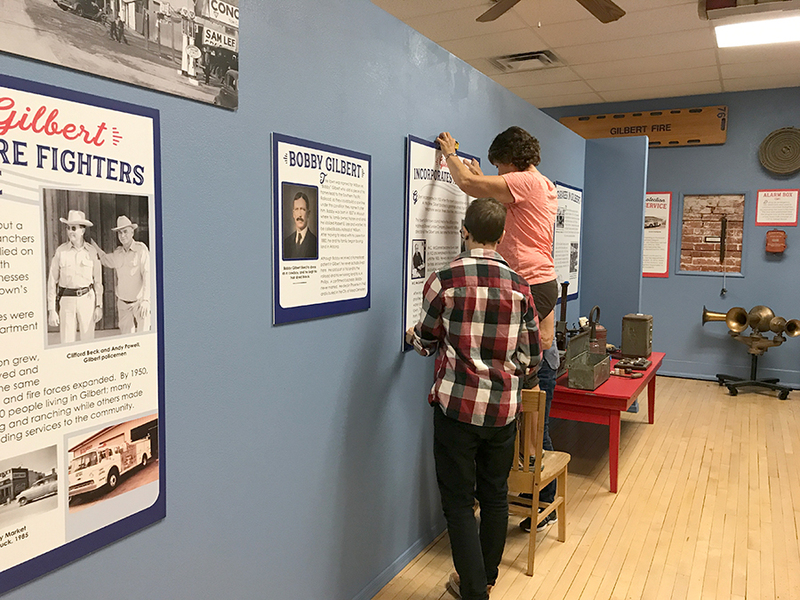 Working with a team including a content producer and director, Chris designed the signs to be informative, easy to read, specific to a theme for each room and eye catching. Shown are a few samples of the designs by Rosepapa Creative.